Dehumidification usually requires a deeper evaporator coil in the direction of airflow and may require a colder coil temperature. A cooling coil has to bring the air stream temperature down to the dew point before it removes any moisture. As cooling and dehumidification loads vary a problem develops when the cooling load is low and the dehumidification load is high. The compressor has to run to dehumidify which requires reheating of the air to maintain room temperature. 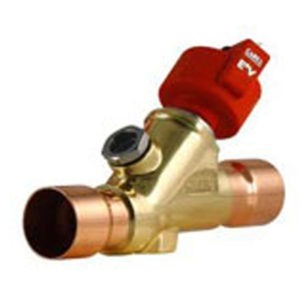 This reheat can be provided by an electric heater, steam or hot water coil or condenser reheat coil. The relative humidity required in the condition space may require a lower coil temperature than standard air conditioning. When this is required, measures to ensure that the evaporator coil does not frost up, must be taken. This is best done with an electronic hot gas valve and a sensor mounted at the coil to maintain a minimum coil temperature.